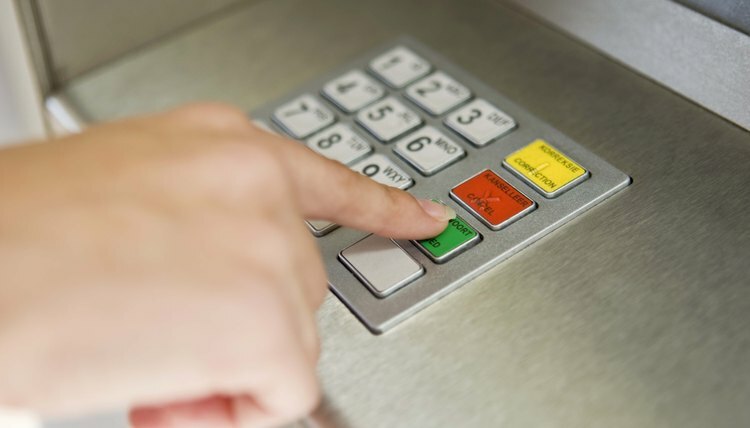 An automated teller machine, or ATM, is a convenient way to quickly make cash withdrawals and other banking transactions, such as deposits and balance inquiries. Most banks have ATMs located inside or outside. Some gas stations, grocery stores and shopping malls also have ATM machines. The machines will display step-by-step instructions on how to complete your transactions. Verify the network logos located on the back of your bank, credit, EBT or debit card. The ATM machine will have a list of accepted network logos posted on the machine. Compare the logos on both your card and the ATM machine to ensure that your card will work. If the logo on your card is not listed on the machine, you will need to find an ATM with the same logo listed on the back of your card. Insert your ATM card in the designated area. Make sure you put the card in the ATM machine correctly or the machine will not accept it. A diagram showing the correct way to insert the card is displayed on the machine. Some ATM machines require you to swipe your card. Select the language in which you would like to have the information displayed. ATM machines offer several language choices. The most popular options are Spanish and English. Use the keypad to enter your personal identification number, or PIN, and press "Enter". You should have selected a PIN when you activated your card. Some credit or debit card companies mail your PIN separately for security reasons. 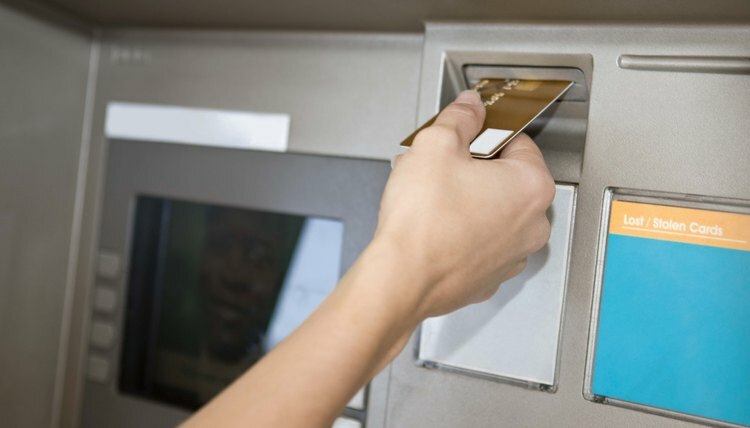 A PIN is required to begin ATM machine transactions. Select a transaction and press "Enter". Many transaction options are available at most ATMs, such as withdraw, deposit, balance inquiry and transfer. If you select withdraw, you will have to enter a dollar amount. 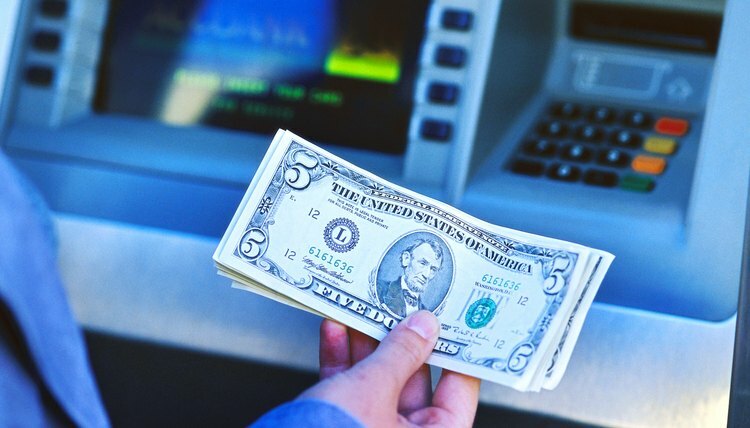 Most ATMs allow you to withdraw dollar amounts in increments of $20 ($20, $40, $60). For a balance inquiry, you can choose the option to have the amount displayed on the screen or a printed receipt. Transfer and deposit instructions are displayed on the screen as well. Wait while the ATM machine processes your transaction. Most transactions are processed within a few minutes. Take your cash from the machine. If making a deposit, insert your deposit envelope as instructed. Most banks provide complimentary deposit envelopes at the ATM machine. Deposits made on weekdays won't update or be available for withdrawal until the end of the next business day. Friday and weekend deposits won't update until the end-of-day Monday. Choose whether or not you would like another transaction. Most ATMs display the question on the screen and you have to choose "Yes" or "No". Choose whether or not you would like a receipt printed, once you complete all transactions. A receipt is verification of transactions for your personal records. Take your receipt, if requested. Remove your ATM card, if you inserted the card at the beginning of the transaction.